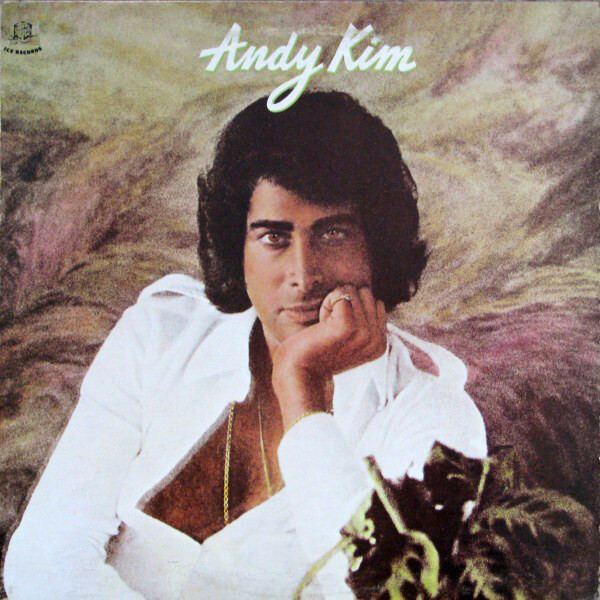 Andy Kim left his childhood home in Montreal for New York City to chase a career in music at the age of 16. With little more in his arsenal than a single song that he had written on a cracked second hand guitar, Kim navigated his way to New York’s famed Brill Building where he found success under the mentorship of legendary songwriter and producer Jeff Barry almost immediately. Upon first meeting, Barry, who was known for co-writing a number of 60’s pop hits including “Be My Baby,” “Hanky Panky,” and “Do-Wah-Diddy,” agreed to give the young Kim five minutes of his time and half a sandwich––a decision that altered the trajectory of Kim’s life and became the foundation of his career. “You know, I always survived by my dreams and not by the reality that was my life,” says Kim. “As a child, I had a pretty vivid imagination but very little knowledge of music or the music industry. Though unsure of how he would accomplish such a feet, Kim trusted his instincts and began to put together what he felt were the logical pieces. “I was naïve and unaware of so much,” he says. “Especially in the environment that I grew up in; I didn’t have anyone to guide me. I kept hearing, ‘Well if you want to be in music you have to be in the U.S.. It’s all in the U.S..’ So, I went with my gut and convinced my mom and dad that I could go to New York City and see some people that would help me. Luckily, Kim had relatives in New Jersey, and that was the safety net he used to persuade his parents who eventually agreed. In the early ‘60s, pop radio was dominated by one man, the incomparable Phil Spector. As a writer, he shaped an impressive list of hits that included everything from The Crystals’ “Da Doo Ron Ron” to The Righteous Brothers’ “You’ve Lost That Lovin’ Feeling” while as a producer his Wall of Sound technique revolutionized the recording industry. But, it wasn’t Spector that fascinated Kim; it was one of his contemporaries, Jeff Barry. “So, I’m in New York and I’m thinking, ‘How do I find this Jeff Barry?’” says Kim. “Of course, in those days there was no such thing as Google, but there were trade magazines like Billboard and Cashbox, and inside those magazines you could find the names and addresses of all of the record labels, so I started there. “When I mentioned his name, the label guys were the ones who said, ‘Oh, you’re looking for the Brill Building.’ I found out where the place was and after a lot of waiting, I finally got to meet Jeff for the first time. Barry, who was scheduled to be in the studio that afternoon, was nearly out the door when Kim asked if he could tag along. “I think one of the most important sentences ever uttered to me in my life was when Barry said, ‘I have to go. I have to be in the studio,’ says Kim. “I just turned to him and said, ‘I’ve never been in a studio. Can I come with you?’ I assured him that I’d only stay a couple of seconds and then be on my way. That moment opened up my whole world. Not wanting to overstay his welcome and knowing he had to get back home, Kim looked on briefly and then got up to leave. He returned to Barry’s office in the Brill Building to take down his information and then headed for the bus station. Once back in New York, Barry became Kim’s mentor, signing him to his label, Steed Records, and bringing him into the fold of the renowned Brill Building songwriting team. Still a teenager, Kim was surrounded by pop music’s cream of the crop: Leiber and Stoller, Carole King, Ellie Greenwich, Barry Mann, Jeff Goffin, Cynthia Weil, and countless others daily. This was his education. And, it was the foundation upon which Kim went on to co-write “Sugar, Sugar” alongside Barry for American fictional band The Archies (the song peaked at No. 1 on the Billboard Hot 100 in 1969) and launch a staggeringly successful solo career. Between 1968 and 1971 Kim was a regular on pop radio with songs like “Shoot ‘Em Up Baby” and his renditions of The Ronettes’ classics, “Baby, I Love You” and “Be My Baby,” finding success on the charts both in the U.S. and at home in Canada. But, the pop game has always been fickle. It’s easy come and easy go, right on to the next thing. So, when by 1973 Kim hadn’t had a song in the Top 100 for close to two years, he found himself without a label for the first time in a decade. Feeling that he was at a crossroads, Kim decided to leave New York and make the move to Los Angeles. “You know, as an artist, you’re always trying to feed that inner spirit that says, ‘This is what I love to do. It’s life and death. It’s so important that I do this or else I become nothing. And there’s nothing worse than being nothing. Feeling that he may have stumbled into something significant, Kim played the song for a few new friends. Though they weren’t as impressed by it, his commitment to his latest creation never wavered. “At that point, I decided that since no one was there to produce me I would produce myself,” says Kim. “Most songwriters that are also recording artists can sometimes hear a record in their head. So, on a rainy Friday night, I met up with musicians that I’d never heard of or even met. I had called The Musicians Union and just by chance picked five people that I could start making the record with. “The first 45-minutes of the session were kind of rocky, so I tried to shift gears. I talked, in detail, to everybody about the reason I wrote the song, and within the next 45-minutes I had most of what you hear on the finished track. Excited and encouraged by how the session had gone, Kim felt that he had the beginnings of something that was completely different than everything else he had done musically up to that point. Once the song was mixed and mastered, he began approaching record labels to see if they might consider signing him. After a year or so in L.A., Kim decided that if “Rock Me Gently” was ever going to be heard that he would have to work the song himself. So, he called up his mother in Montreal and told her he was coming home. “My mom started crying because she never wanted me to leave,” he says. “I’m the third of four brothers who are all in Montreal so there was always a spot missing at the dinner table. She was so happy that what she didn’t hear was that I was going to start my own label, put out the record I had just made, that it was going to be No. 1, and that I would only be home for a couple of months. Kim then received a call from a gentleman by the name of Al Cory. Cory, who was widely known in the American record business as a legendary promotion and A&R man, had just been to Detroit and heard the song on famed Windsor radio station CKLW The Big 8. Incredibly, “Rock Me Gently” did hit No 1. in both Canada and the U.S., making it the first song in history written, recorded, and released by an independent artist to do so. “When I found out that the song had hit No. 1 on Billboard it was midnight and I was standing alone on the balcony of my penthouse crying. The song had been on the charts for probably four months at that point, slowly climbing, fighting for airtime, so when it finally happened those were tears of joy. “I had dreamt up this song, made this record, and really kind of stood against the wind as a songwriter and a human being after I had been dismissed as irrelevant, so I felt like I had just climbed Mount Kilimanjaro on my own. Of course, there were wonderful periphery people like Al who came along and helped my vision, but to be able to come back from that on the sheer strength of my own belief, that was an amazing feeling.